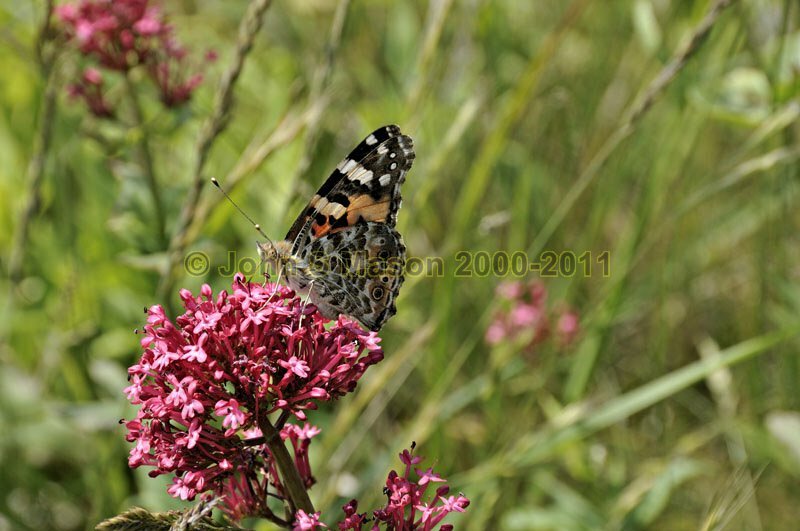 Painted Lady butterfly on Valerian at Aberdyfi. There was a huge invasion of them in June 2009. Product number 060912. Email me to enquire about this image: click HERE.